D20 amplifier and MAX2 monitor, as well as a new ArrayCalc feature, to go on show in Frankfurt. d&b audiotechnik will unveil two new products and a major software update at Prolight + Sound in Frankfurt from 15 – 18 April 2015. 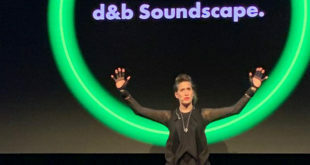 The announcements will keep d&b "at the forefront of the touring and installation markets," according to the manufacturer. The new arrivals include the D20, the latest addition to the company’s four-channel amplifier family and the MAX2, a flexible 15” stage monitor. 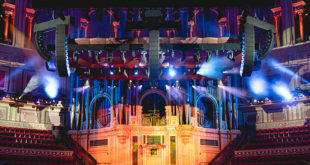 The software upgrade is a new ArrayCalc feature for d&b’s line array systems. 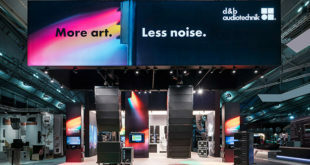 “The only way leading companies such as d&b can retain their market position is through constant innovation, meeting the demands of the market and more importantly the satisfaction of their customers,” said Sabina Berloffa, director of marketing and product management at d&b audiotechnik. Both the D20 amplifier and MAX2 stage monitor will be on display at Prolight + Sound (Hall 8, Stand J46). Visitors will also be able to explore the d&b workflow, comprising the new ArrayCalc simulation software and the d&b R1 Remote control software.